How to solve – No ‘Access-Control-Allow-Origin’ header is present on the requested resource. Origin ‘null’ is therefore not allowed access. 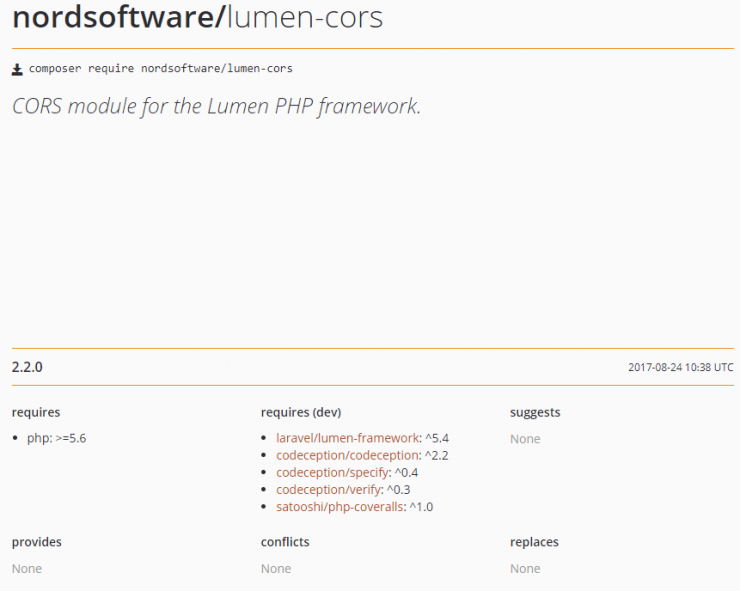 In this short post, I will show you how to solve the “No ‘Access-Control-Allow-Origin'” problem for a Laravel/Lumen API, using the nordsoftware/lumen-cors. Why do you get this problem? Chances are that you are getting this error when you’re trying to make a call to an API or trying to get some data from a different domain to the one your application is using. Simply put, you get this problem because cross-domain communication is not allowed by your browser. A good example would be: allbooks.com is an API that returns information about all the books in the world, seebooks.com is a website that gets the information from allbooks.com and displays it in a nice user interface. In this scenario, I will show you how to solve this issue within a Lumen project. This solution assumes that you already have a Lumen project created and you know how to use Composer. By running the above command you should see the same output in the terminal as the one from the picture above. 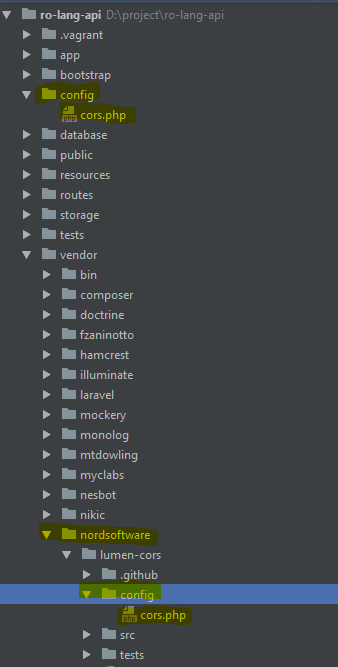 Once the command is executed, check the vendor directory. There you should see the /nordsoftware folder, as the one from the picture above. 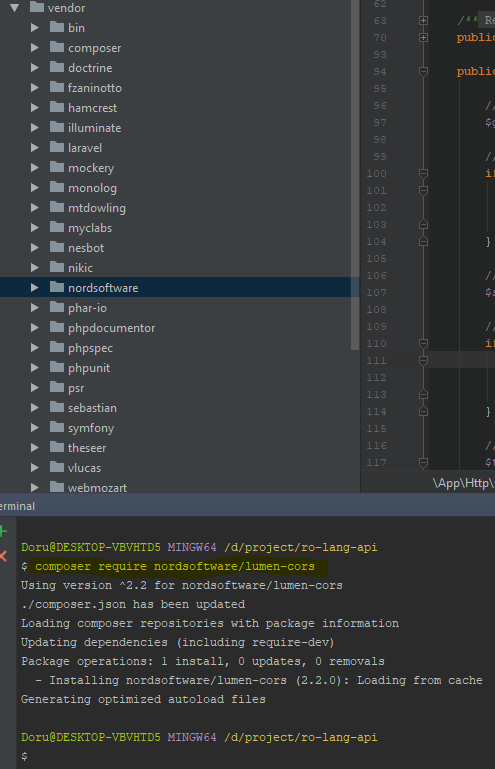 Copy config folder from nordsoftware/lumen-cors/config into the root directory of your project, so myproject/. Your application should now successfully handle CORS requests.